Giambattista Bodoni was the official printer for the Duke of Parma. Over more than thirty years as a career printer, Bodoni designed typefaces and set standards for printing. The Complete Manual of Typography collects his typefaces as well as various symbols, borders, ornaments and character from foreign languages that he used. Additionally, this book features his manual where he laid out his guiding principles of typography. The Waldorf Astoria is one of the world’s most famous hotels and its bar, though few know it by its name Peacock Alley, is equally famous in the world of bars. In this book, Frank Caiafa, the bar’s manager, reveals the recipes for classic cocktails that the bar served before, during and well after the prohibition era. Caiafa also shares the history of the drinks, alternate versions as well as tips for serving. Jerzy Kosinski's Steps is an adult set of fairy tales—a series of interrelated short stories that take place in haunted post-WWII Europe, where we follow the narrator as an archaeologist, a skiing instructor, a soldier, and a photographer among other vocations. There are no place names or proper nouns, but many unforgettable images, like a single white tennis shoe left by a vanished soccer team, or the brief, unexplained sight of a man covered in fur. The situations share with Kafka the feel of dark truth found in disturbing surreality. Winner of the 1969 National Book Award. Many traditions put special emphasis on the preparation and dressing of bodies after death. Centuries and continents may divide different cultures, but the desire to dress the dead in fancy hats is an essential part of human nature. Paul Koudounaris has traveled the world to photograph the most remarkable ossuaries and memorials, capturing the different means of preserving and paying respect that people have developed over the last few millennia. Memento Mori features large, full color photographs and explanatory text, detailing each style of burial with an appreciative, non-judgmental point of view. 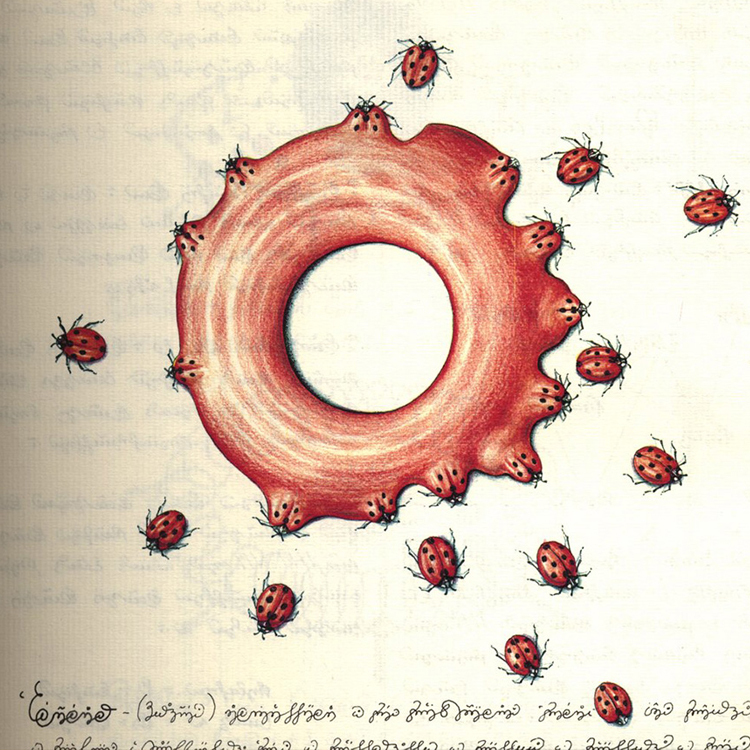 The Codex Seraphinius, originally published in 1981, is an illustrated encyclopedia of an imaginary world, created by the Italian artist, architect, and industrial designer Luigi Serafini. Reminiscent of medieval, mysterious works like the Voynich Manuscript, the Codex is written in an undecipherable language of Serafini's own design. The illustrations show familiar objects and animals interacting and morphing according to some sort of dream logic. Although it can be enjoyed according to the pleasant surreality of the images, there are more complex questions that can be pondered. What does it all mean? What is truth, and does ours look just as fantastical to other worlds? This roving, kaleidoscopic novel tells the story of the Visceral Realists, a gang of young poets in 1970s Mexico City. They exist somewhere in the bohemian tradition, disrupting readings and workshops, drinking and philosophizing in hovels and parents' houses. Bolano captures the energy of youth and young writers, but his perspectives - the diary of their newest recruit, latter day interviews with former poets and acquaintances - give the book an atmosphere of melancholy and make it a serious rumination on the ephemeral power of art and youth.